Today is wash day. 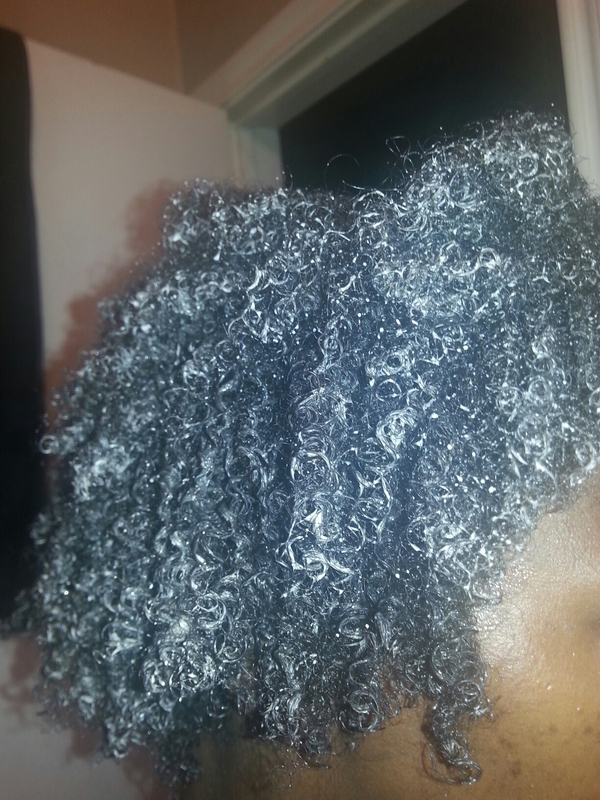 One thing I’ve learned over these past three years, more so the last nine months, is that wash day doesn’t have to take ALL day. 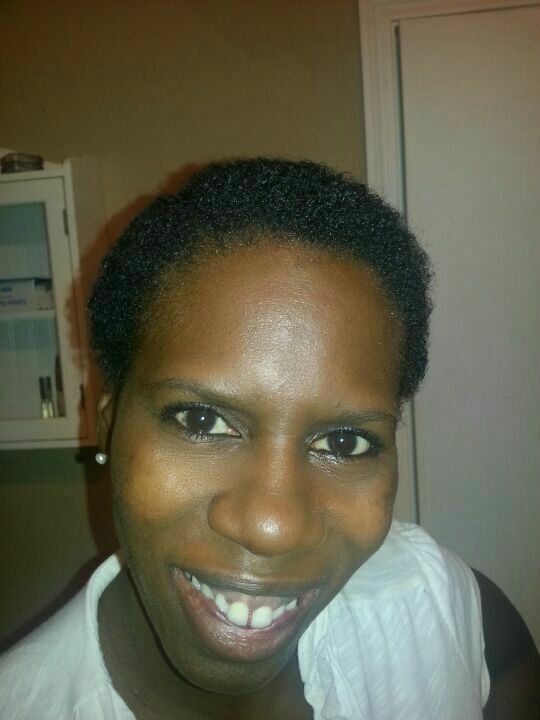 It doesn’t have to involve all of the fifty-eleven steps that I thought I had to do when I first came back to natural. 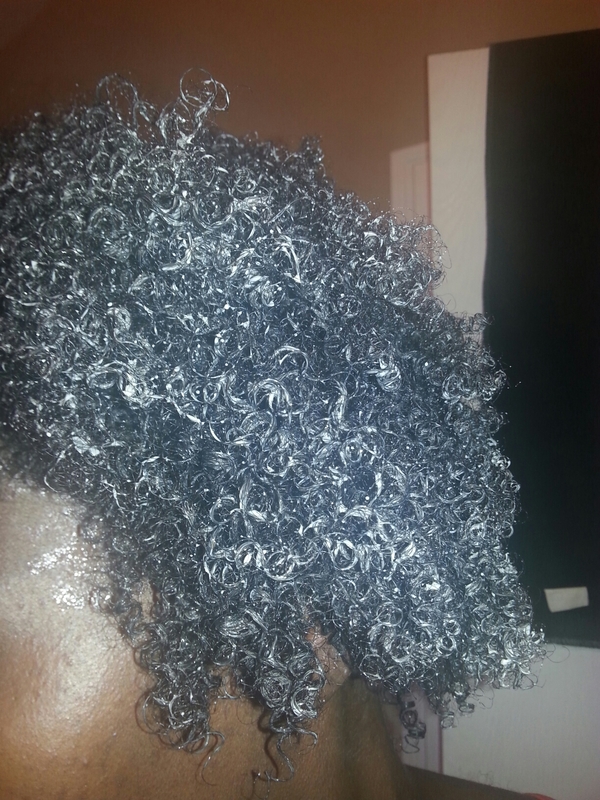 In the beginning I tried to incorporate every process and procedure I saw naturals on YouTube using in their wash routines. It was just TOO much and a lot of it was totally UNNECESSARY! We live and we learn. 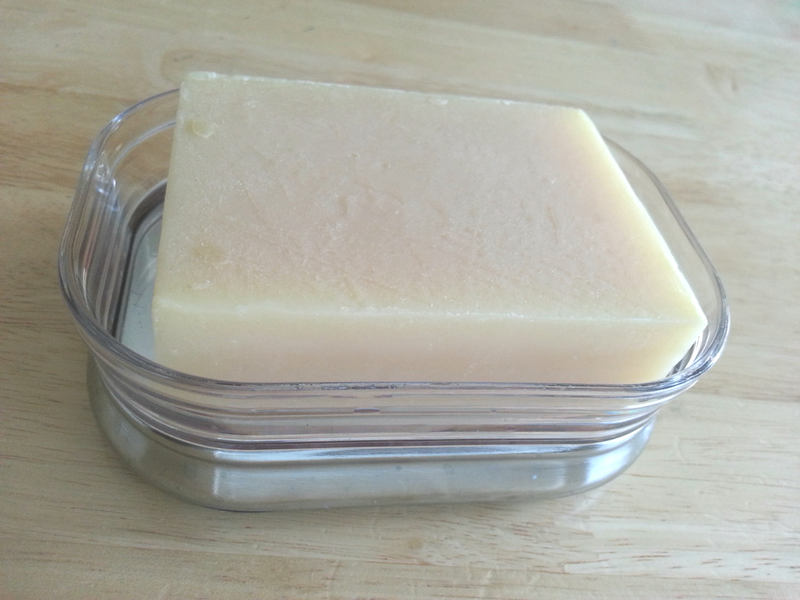 My wash rountine now consists simply of prepooing for a few minutes (which I don’t do all the time), washing, a quick ACV rinse, and conditioning. 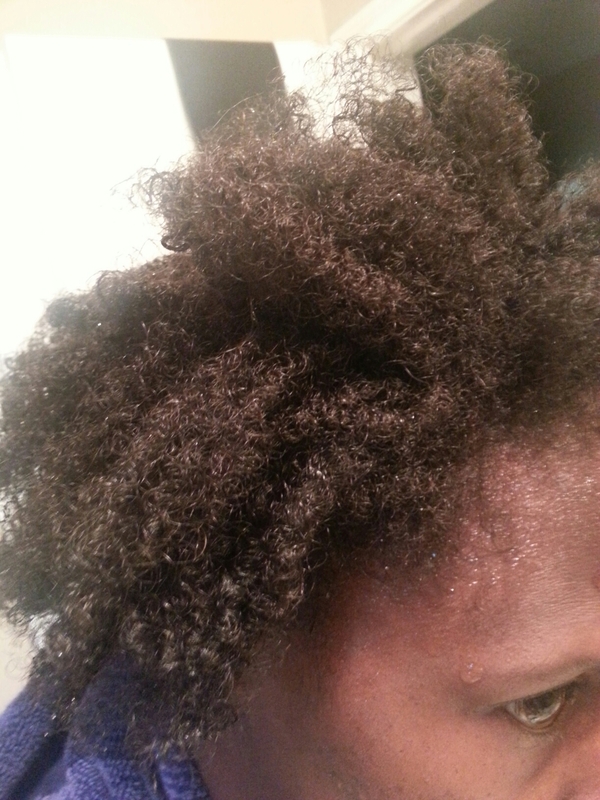 Twice a month I do a hot oil treatment and deep condition. 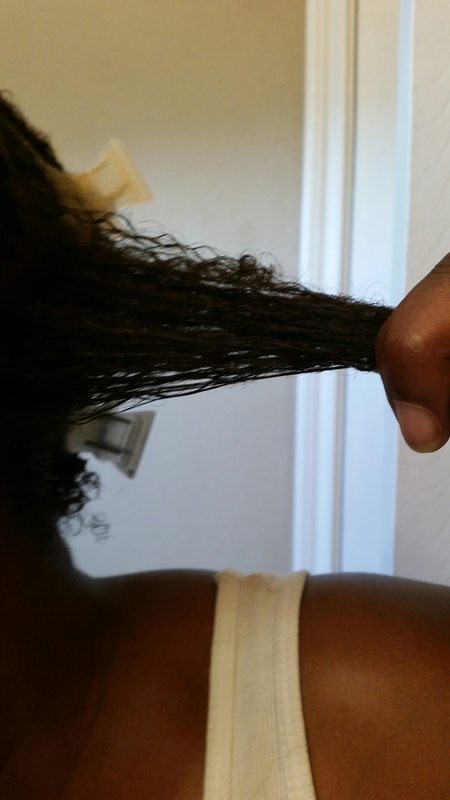 This makes things so much simpler, doesn’t monopolize my whole day, and most importantly, my hair is still thriving and growing! Now, to the point of this post! I diverged from my topic for a bit. But I felt that was important to say because there may be somewhere out there who reads this that’s caught up and trudging through as I was. 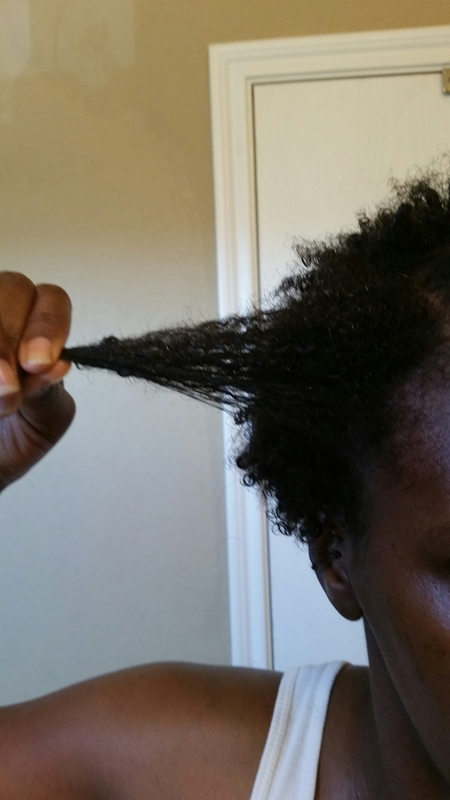 Anyway…this shrinkage though! 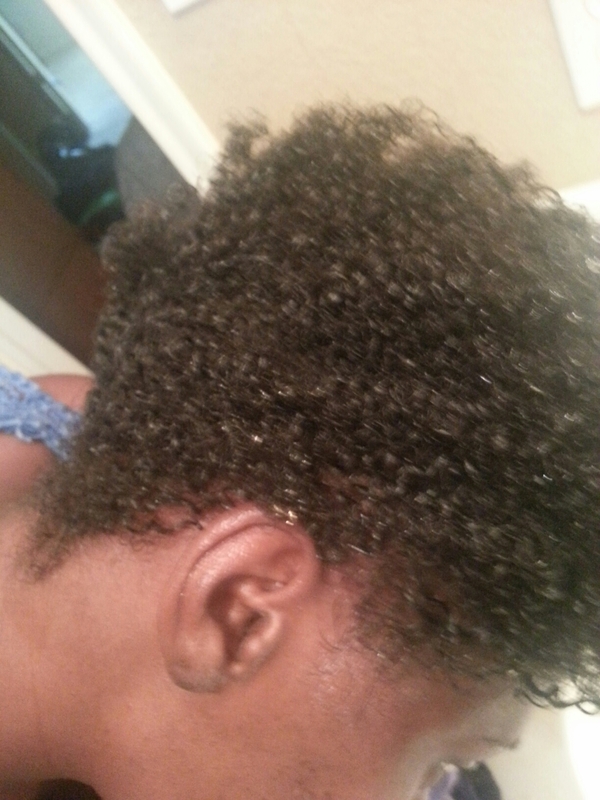 Lol My hair has grown A LOT since I BCed again in July. This is what I’m working with! 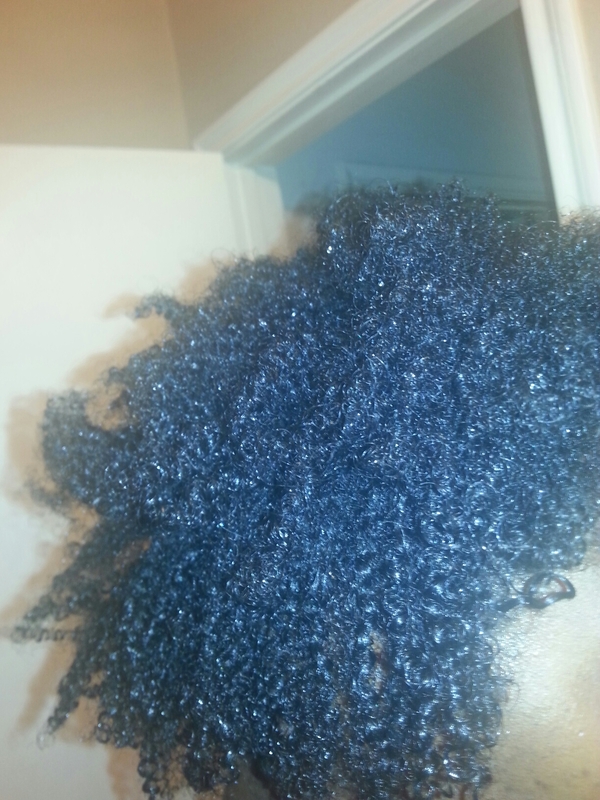 The shrinkage is REAL! 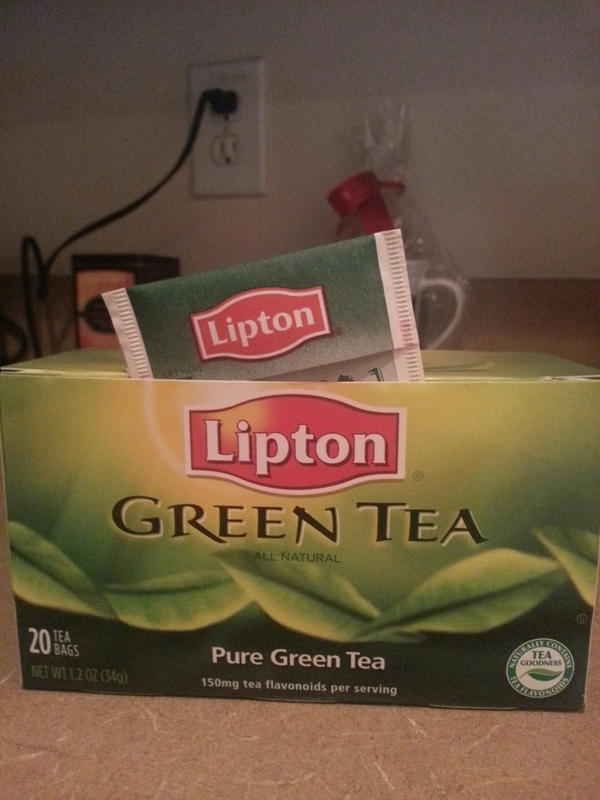 The deception! 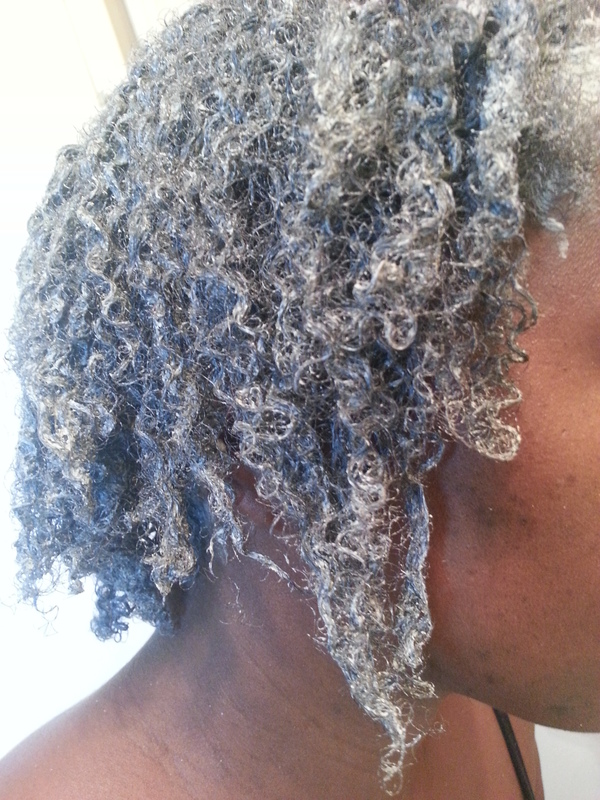 So, today was wash day and it was much different than it was before. I no longer have to subject myself to a day of confinement because of the hours it would take to finish this task. 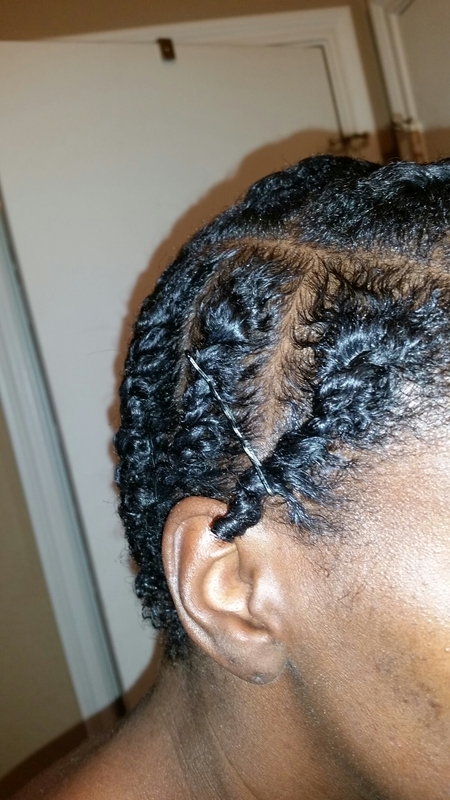 Deep conditioning time is shorter; There’s no need for twists to dry and set. One would think that I’d be ecstatic. I’m not! 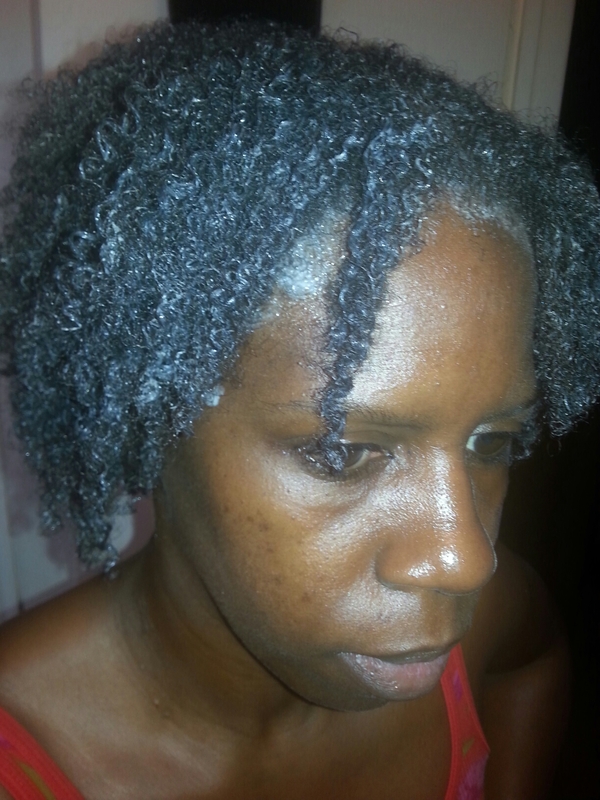 But…it was wash day! A typical one at that. 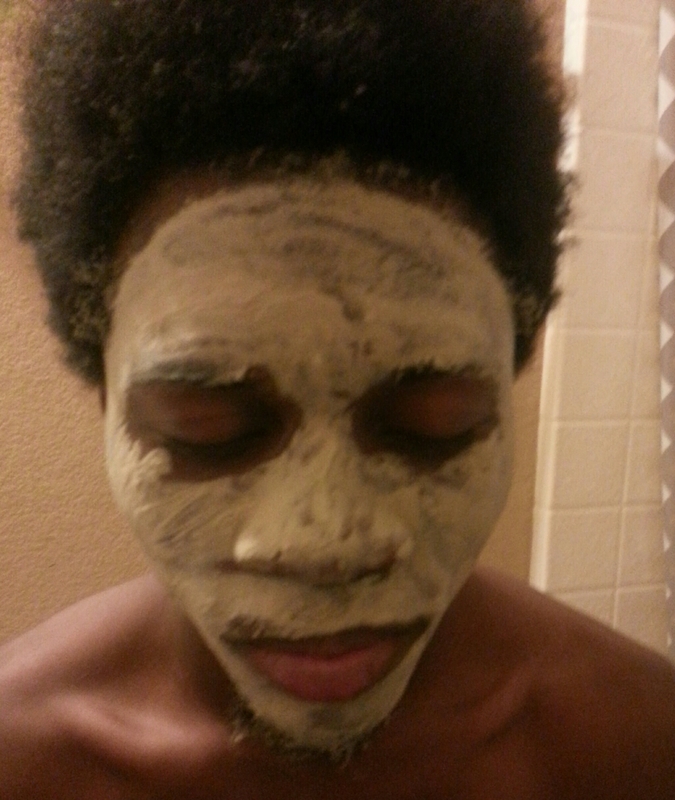 I pre-pooed last night with coconut oil. 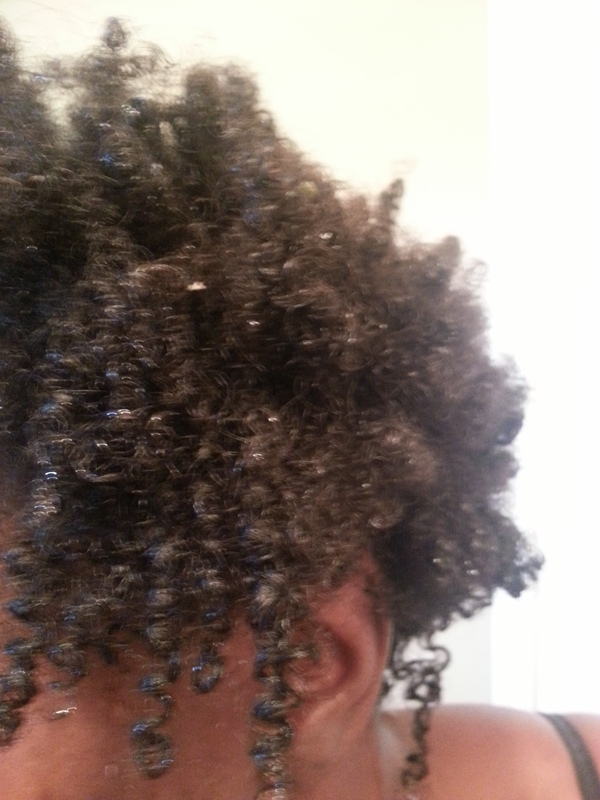 This morning I gave myself a hot oil treatment using a mixture of JBCO, sesame, peppermint, tea tree, and jojoba oils. 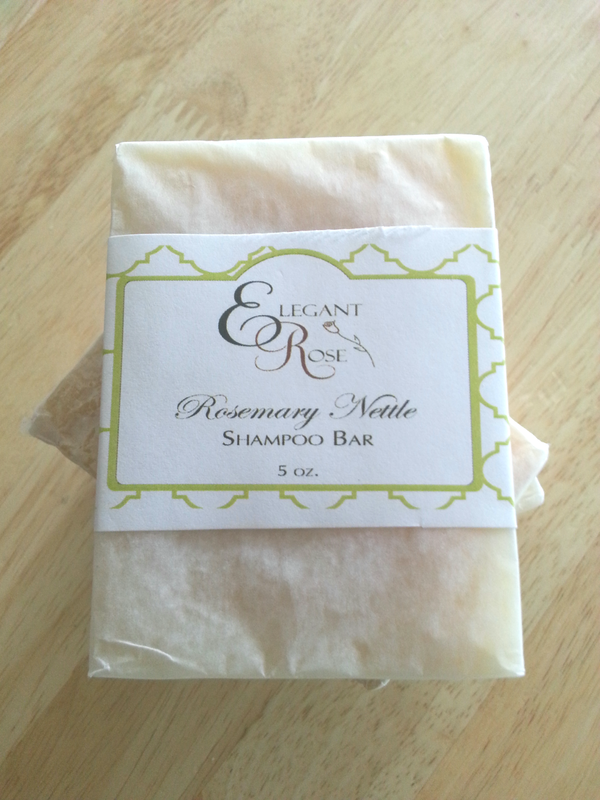 I then shampooed with my rosemary and nettle shampoo bar. I must say I have yet to put a dent in this poo bar. I have two others so I think I’m pretty much set with shampoo for awhile. 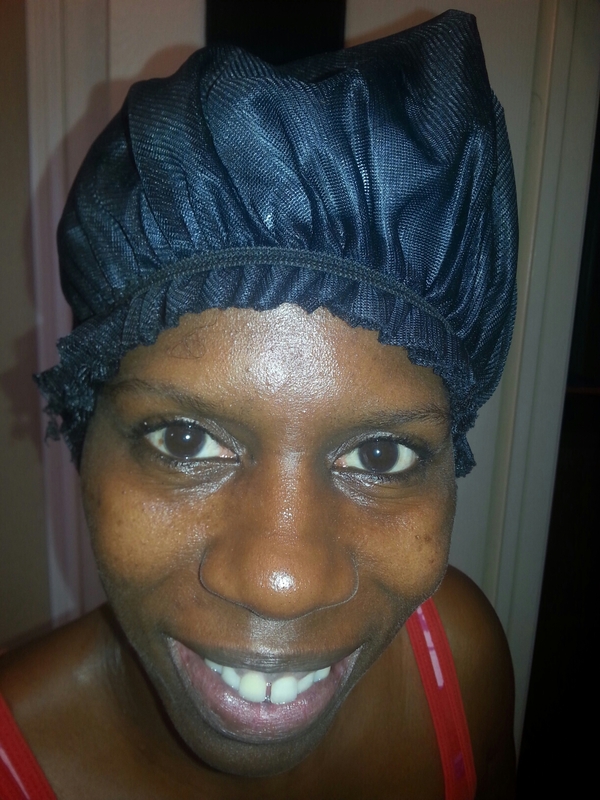 After shampooing, I then deep conditioned using Bee Mine BEE-U-Ti-FUL Moisturizing Deep Conditioner. 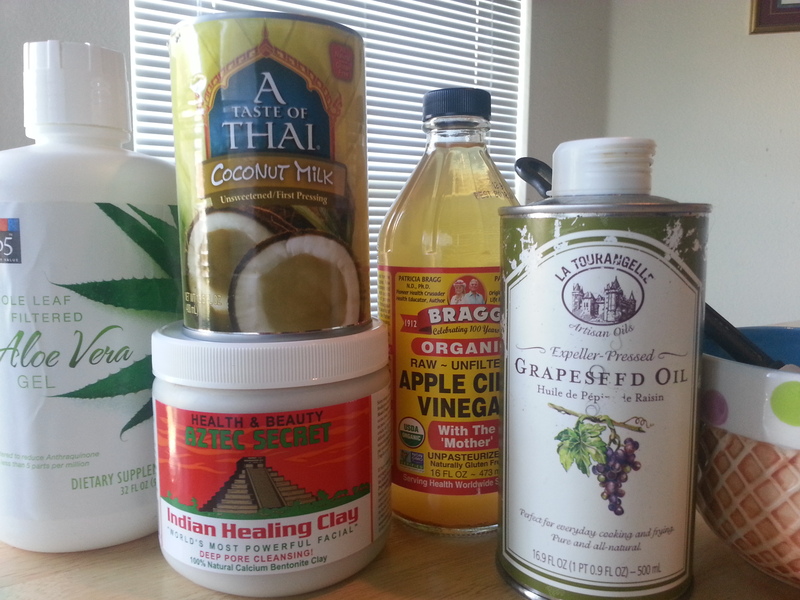 Instead of my normal rinse of ACV and water, I used ACV and aloe vera gel. 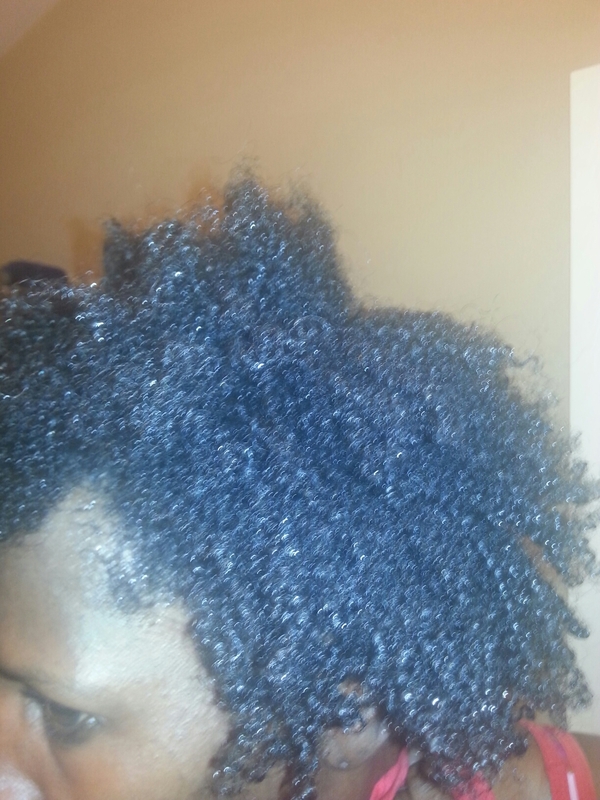 I finished with a honey and olive oil treatment for shine. 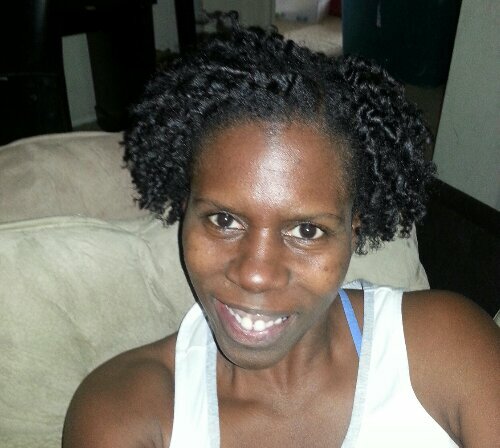 I used EEHH for my leave in and sealed with grapeseed oil and used a little EcoStyler gel to set my curls. 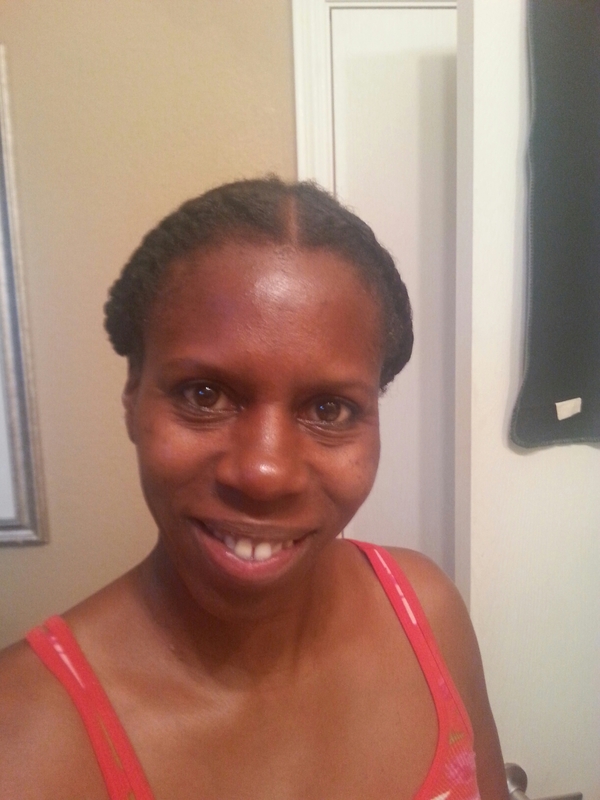 I used JBCO around my edges. 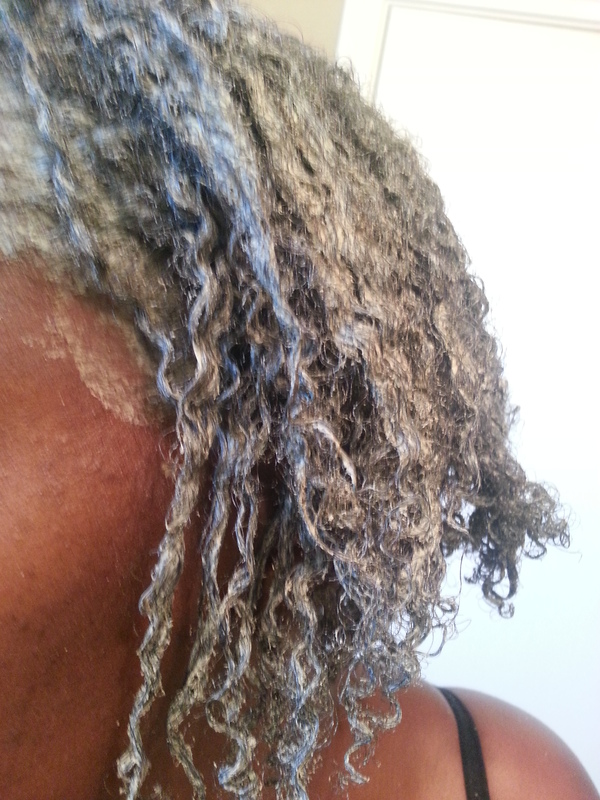 I wasn’t going to wash my hair this week since I haven’t used a lot of product this week. However, I’ve been deeply mourning the loss of my dog the past couple of days, so I decided to focus on my hair in an attempt to get my mind off of it for awhile. 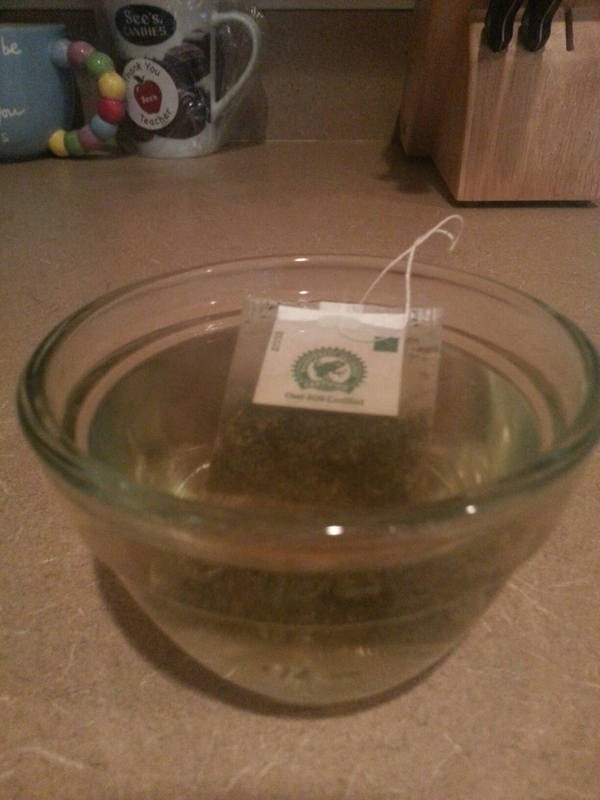 According to the research that I’ve been doing on tea rinses are conditioning treatments. 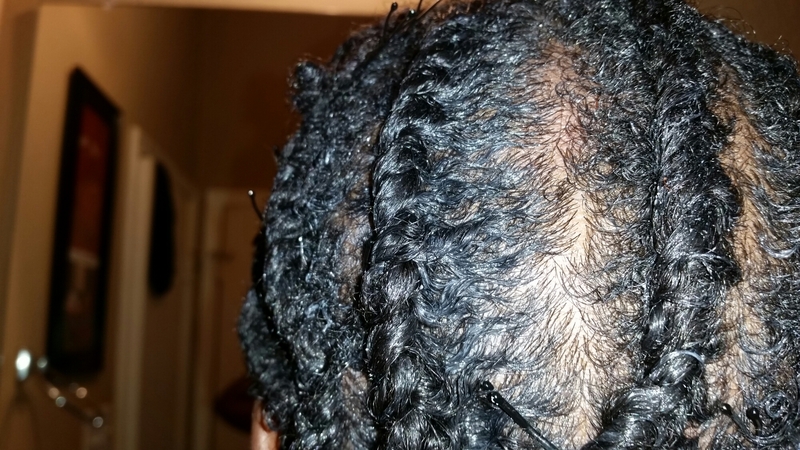 The caffeine in tea penetrates the hair follicle and supposedly helps with hair growth. 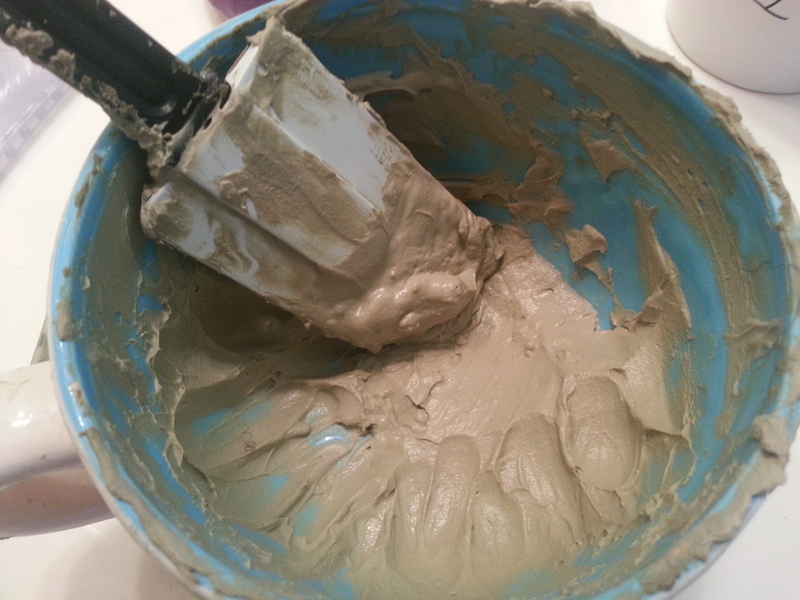 However, it was also noted that too much caffeine can stunt hair growth, so it’s important to use tea rinses sparingly. 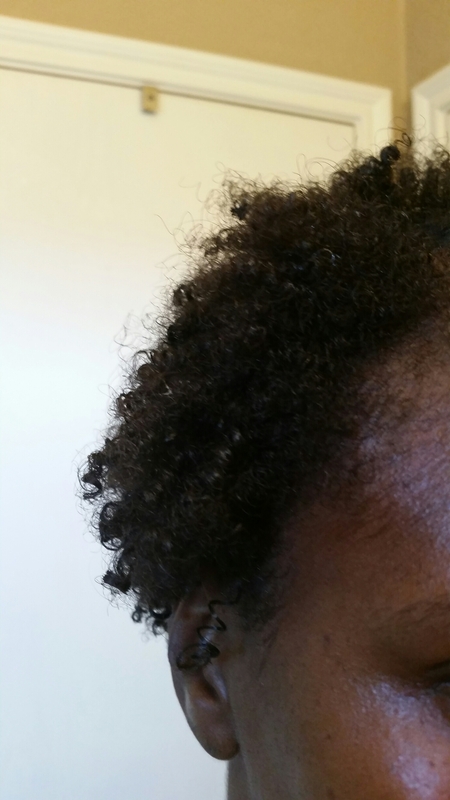 In addition to hair growth, tea rinses have been found to prevent shedding and breakage, alleviate dandruff and dry scalp and other scalp issues, soften hair, increase manageability, and restore luster, body, and bounce. 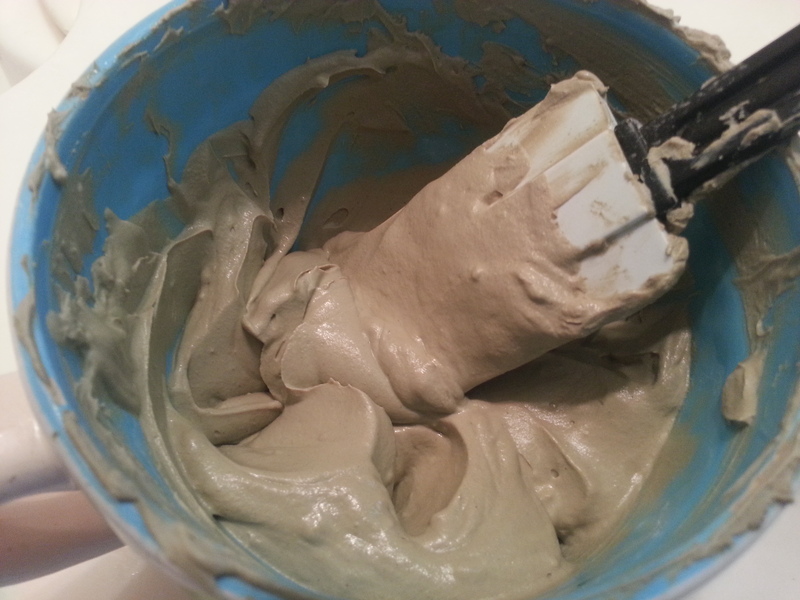 The benefits provided to the hair depend on the type of tea used. 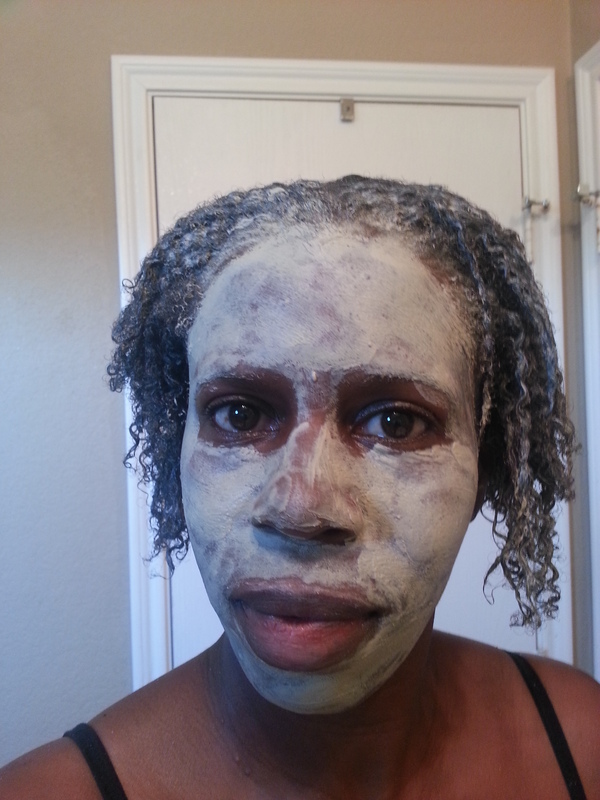 I followed my typical wash day routine today, however, instead of doing my normal ACV rinse, I tried a green tea rinse. 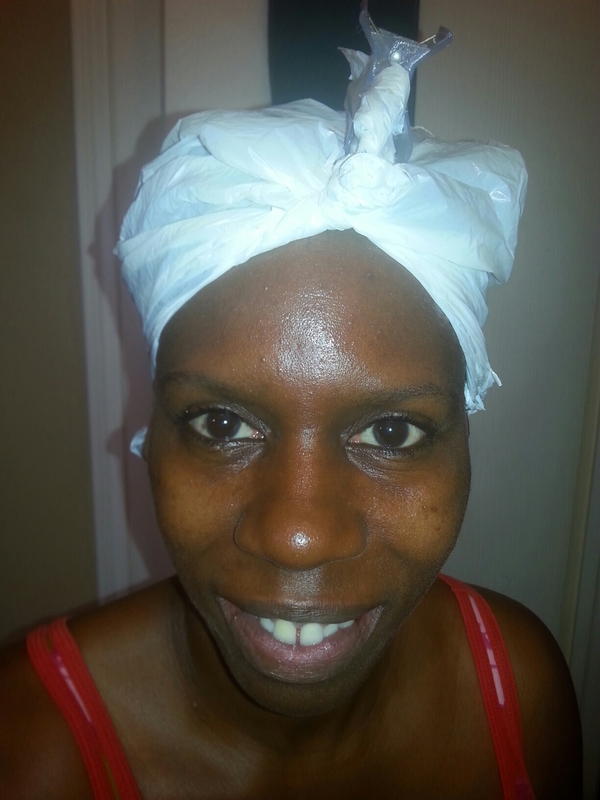 I washed my hair first while the water heated in my coffee pot. 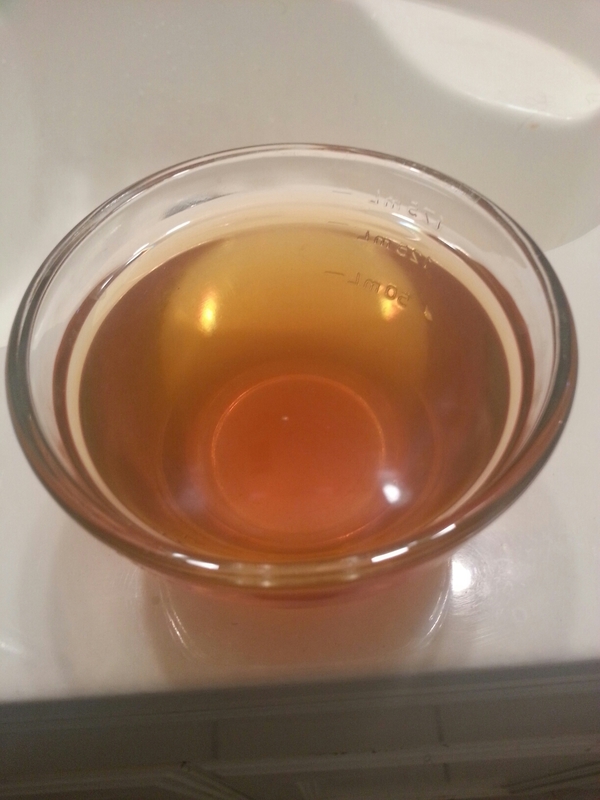 I let the tea steep while I conditioned my hair. 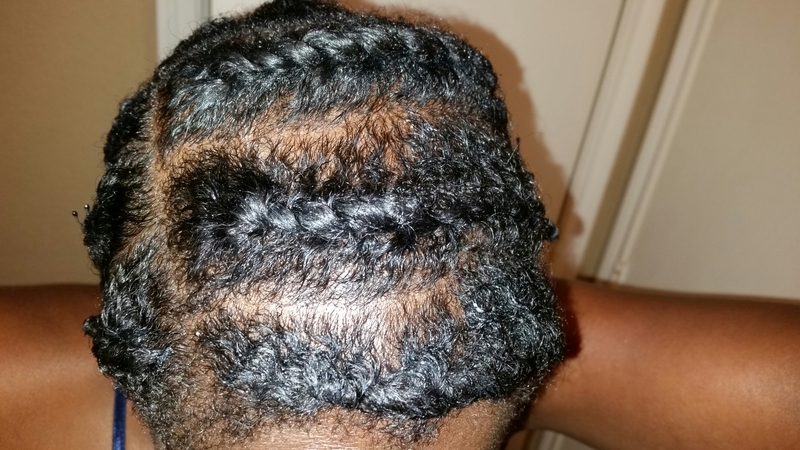 After the tea cooled to approximately a lukewarm temperature, I applied it to my hair and let it sit for about 10 minutes and then I rinsed, moisturized and sealed, then two strand twisted my hair wet, which is something I don’t ever do anymore. 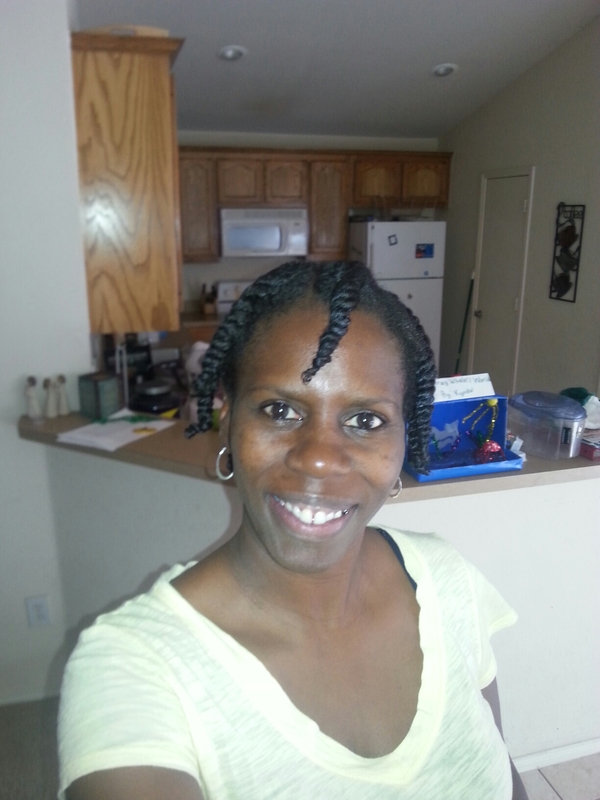 I took more time today with my twists. 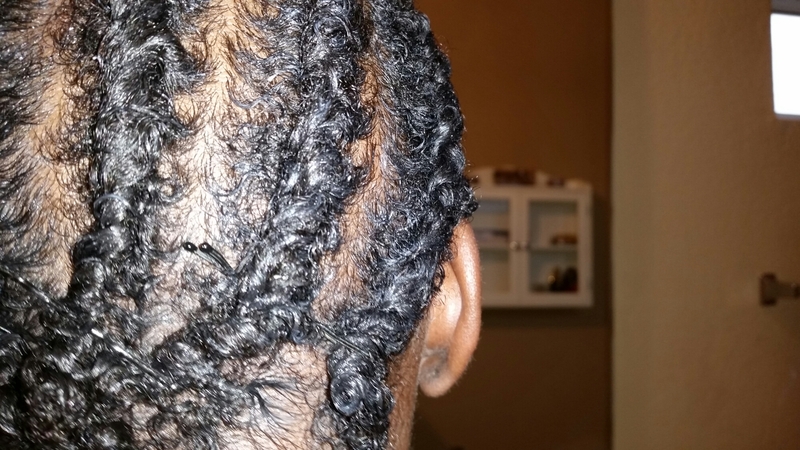 I sectioned my hair into six sections and secured with clamps. 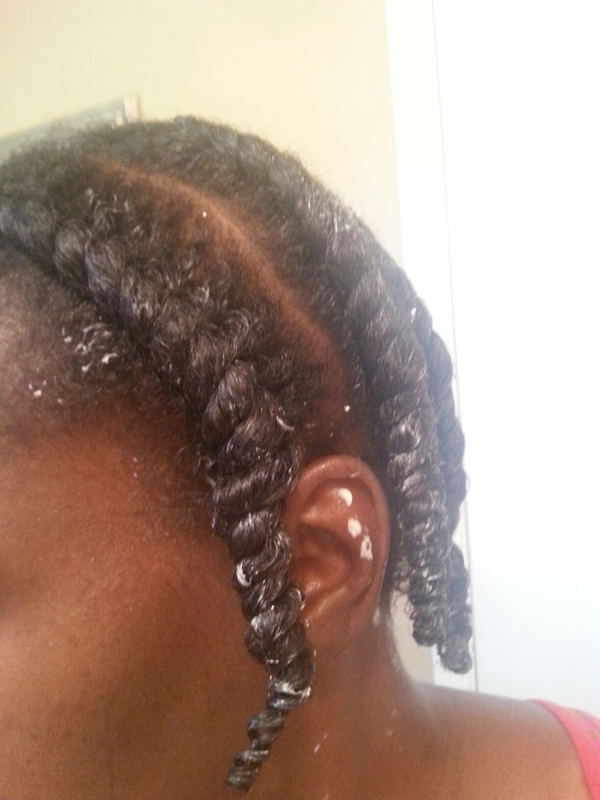 I added curling pudding and gel to each section, defined my curls with my Denman brush, and twisted. 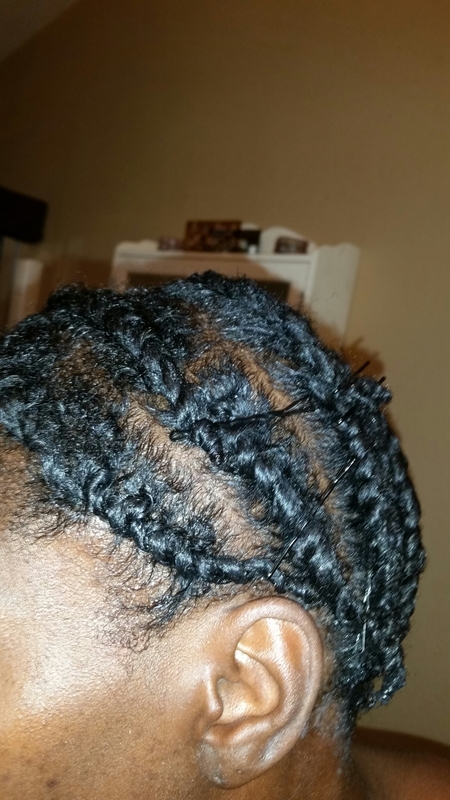 There were about six twists applied to each section. 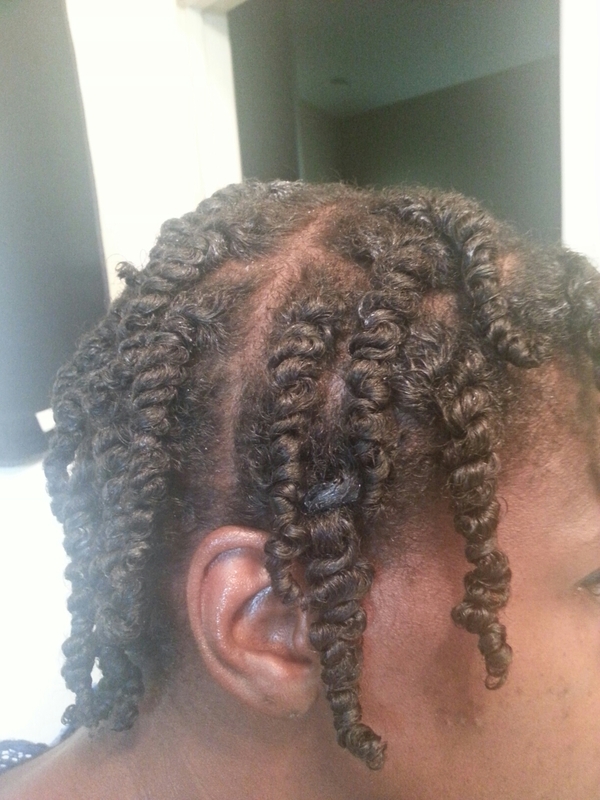 It took me about an hour to twists since they were much smaller than what I typically do. 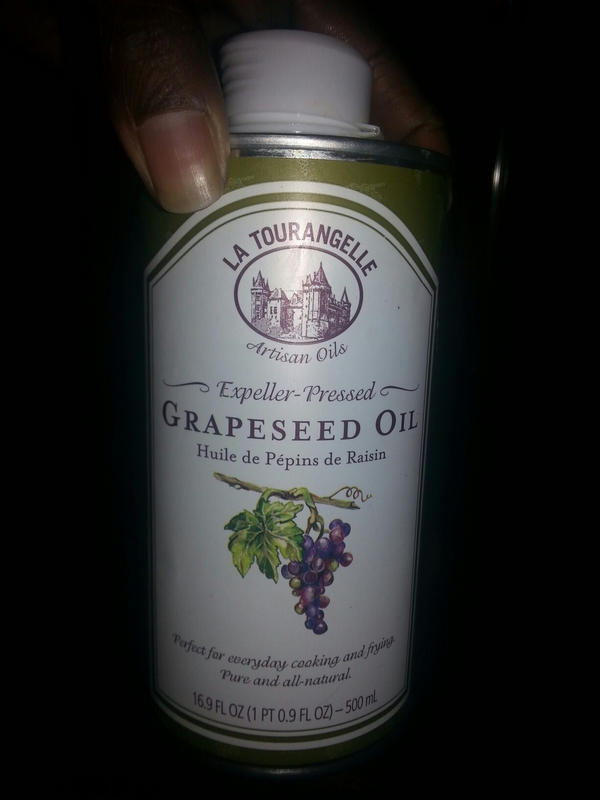 I lightly misted my hair once more after the twists were done and gently rubbed grapeseed oil over it. 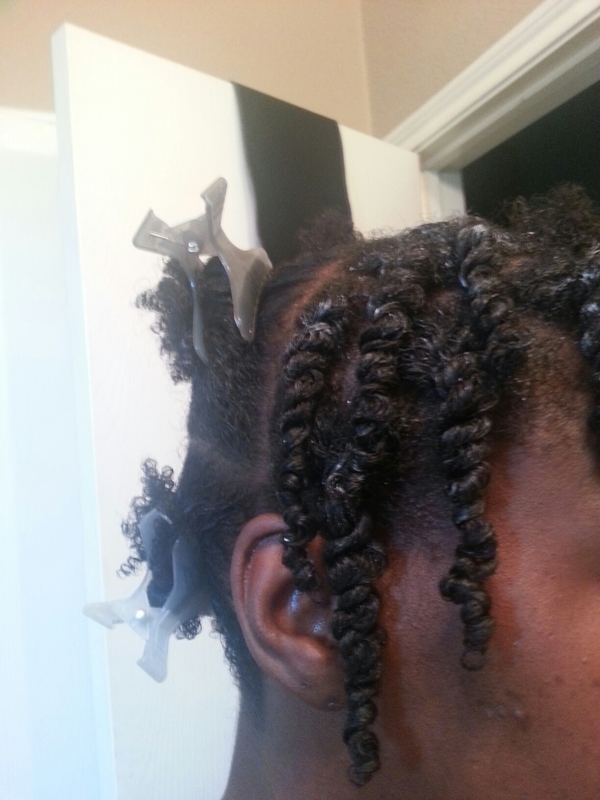 I pinned the shorter ones at the crown for some stretch. The longer ones I left as they were. 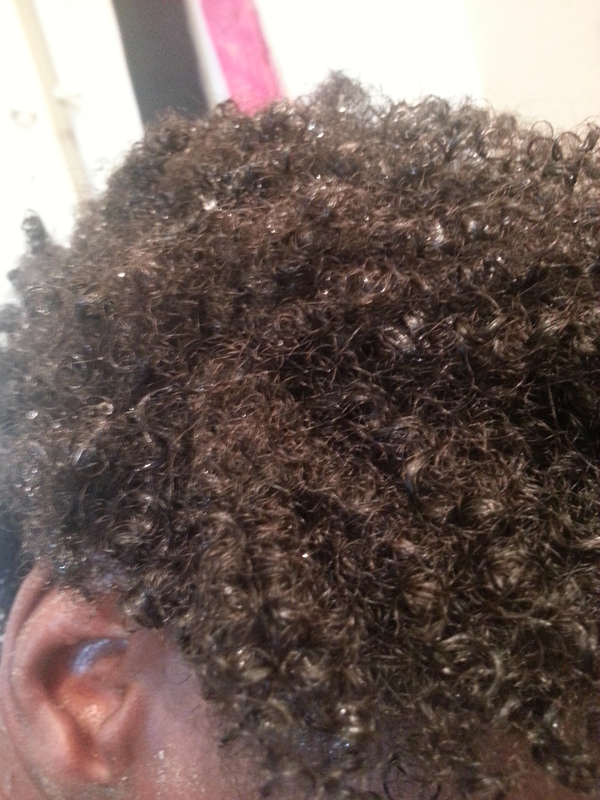 After the rinse, my hair was indeed pretty soft. 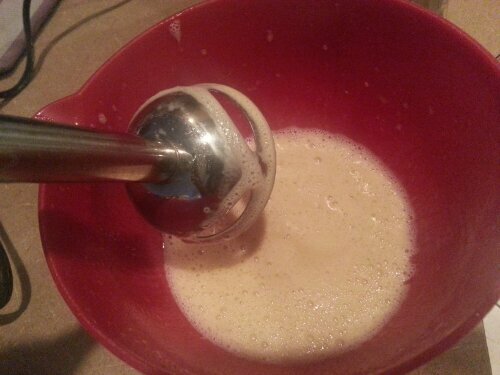 I was unable to tell to what extent it was softer than before though. 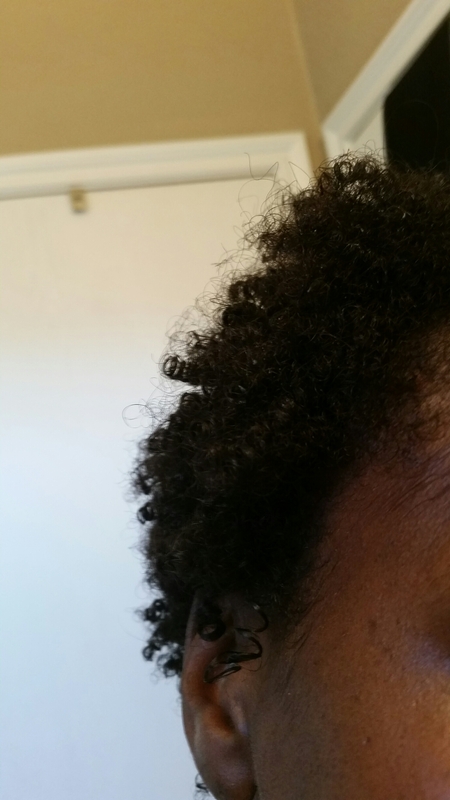 I will update throughout the week about my hair’s progress or anything that I notice. 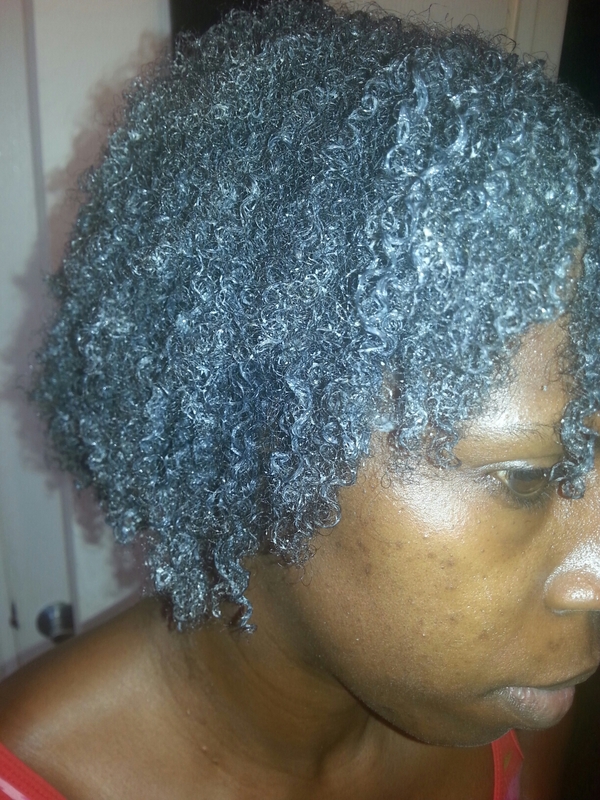 Well another wash day has come around and I decided to change things up in an attempt to revitalize my strands. 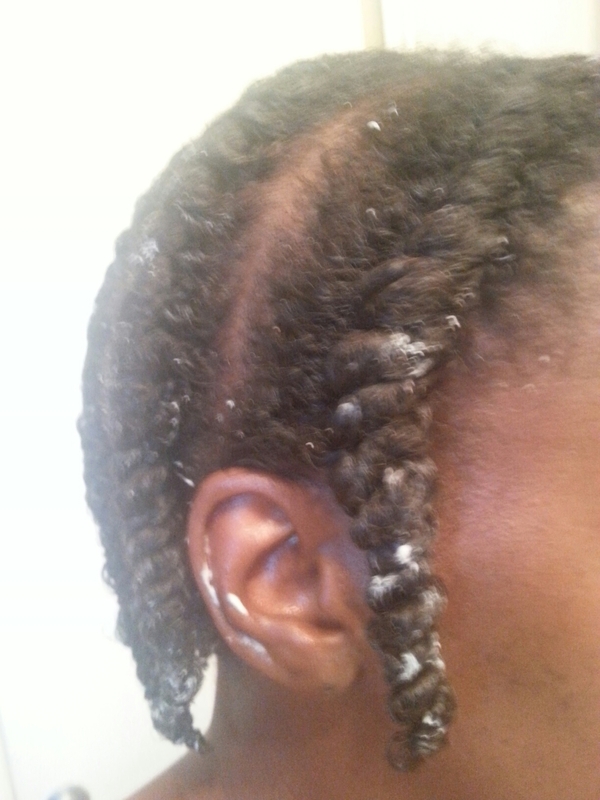 Instead of doing my normal deep condition and hot oil treatment, I decided to try a protein treatment. 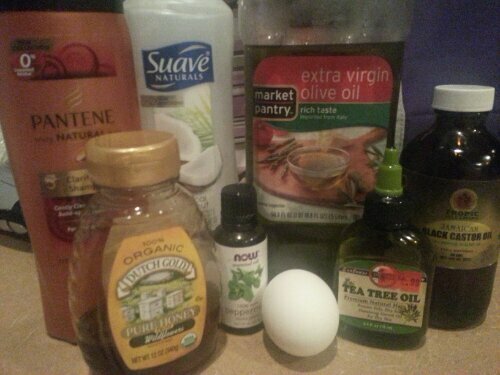 In addition to the protein alone, I used conditioner as a base and added some oils as well – kind of like a 3-in-one treatment. 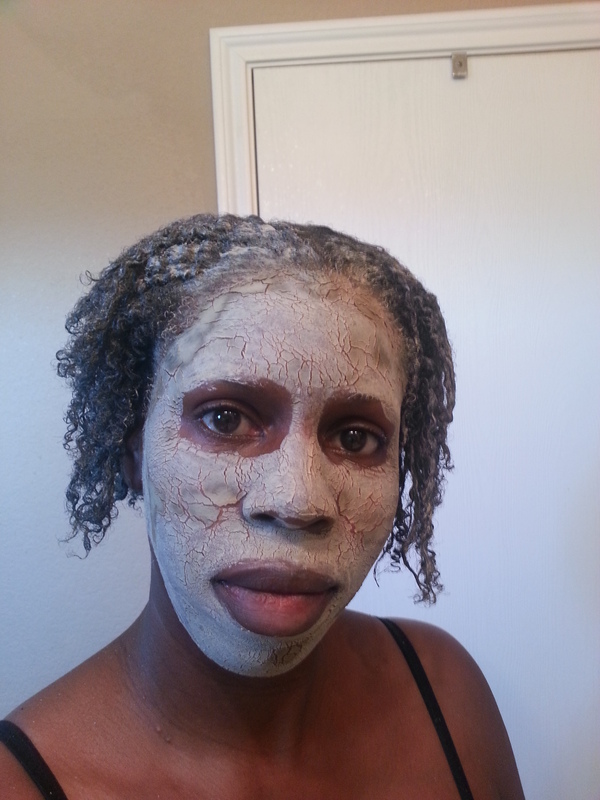 I started with a clarifying wash in order to get rid of build up. 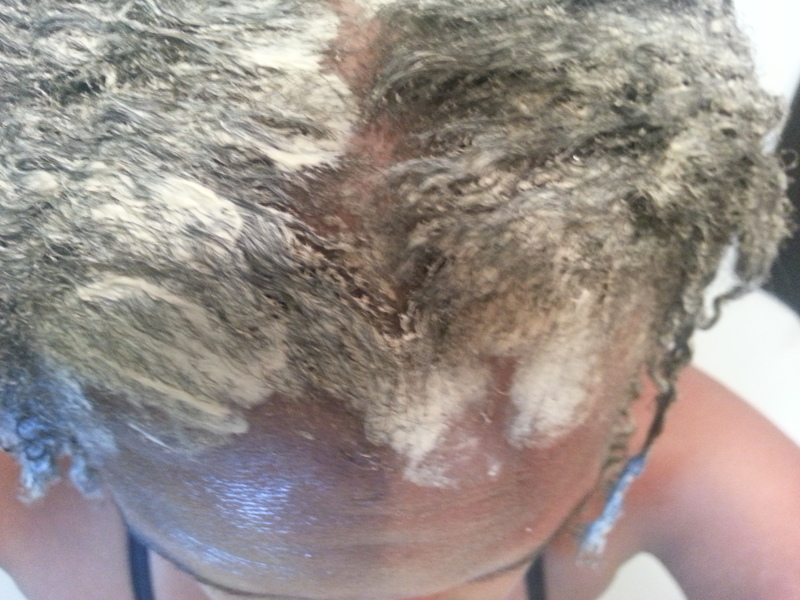 Then I applied the treatment and let if sit for about 30 minutes. 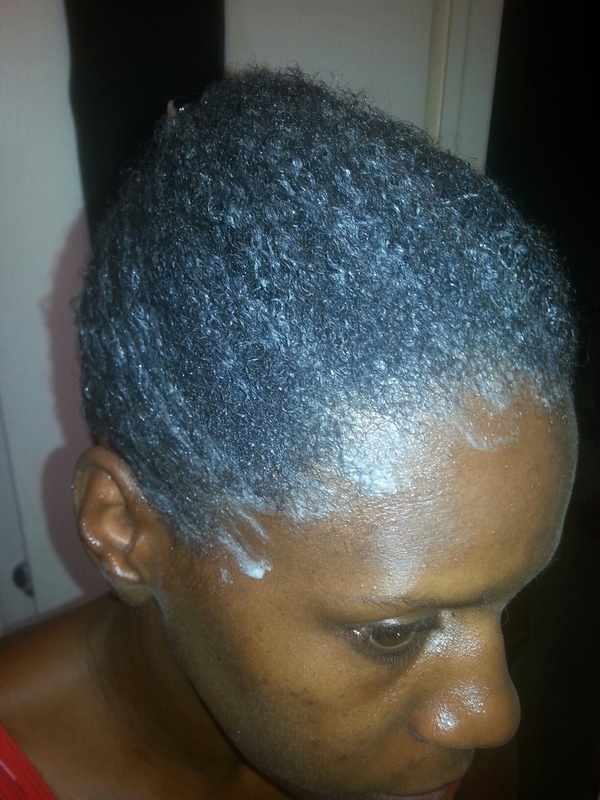 After rinsing the treatment out, I did my standard ACV rinse. 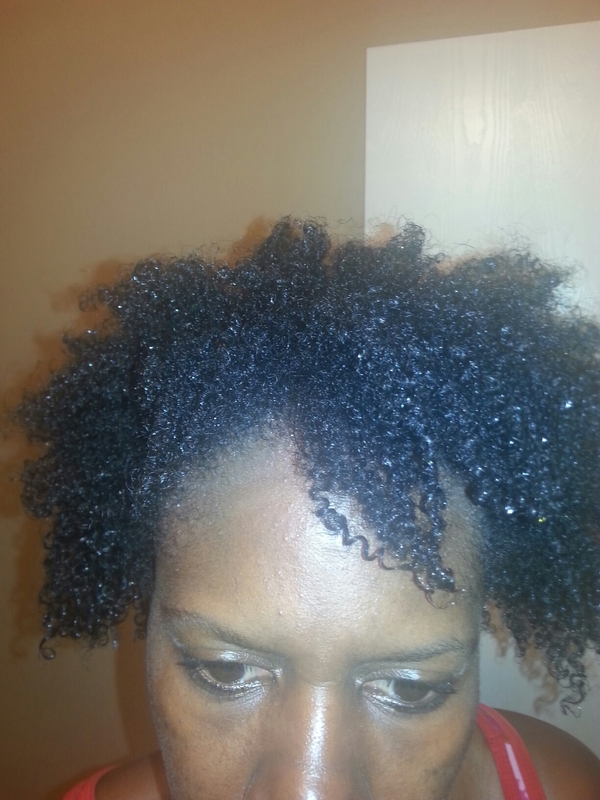 I skipped the honey rinse this time since honey was included in the protein treatment and I don’t need too much moisture drawn into my strands. 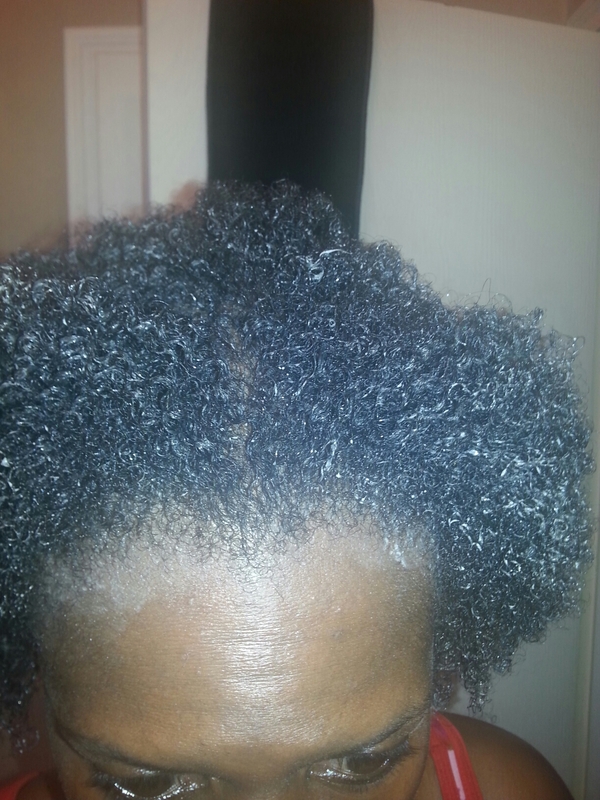 I applied my leave-in and sealed my ends with coconut oil. 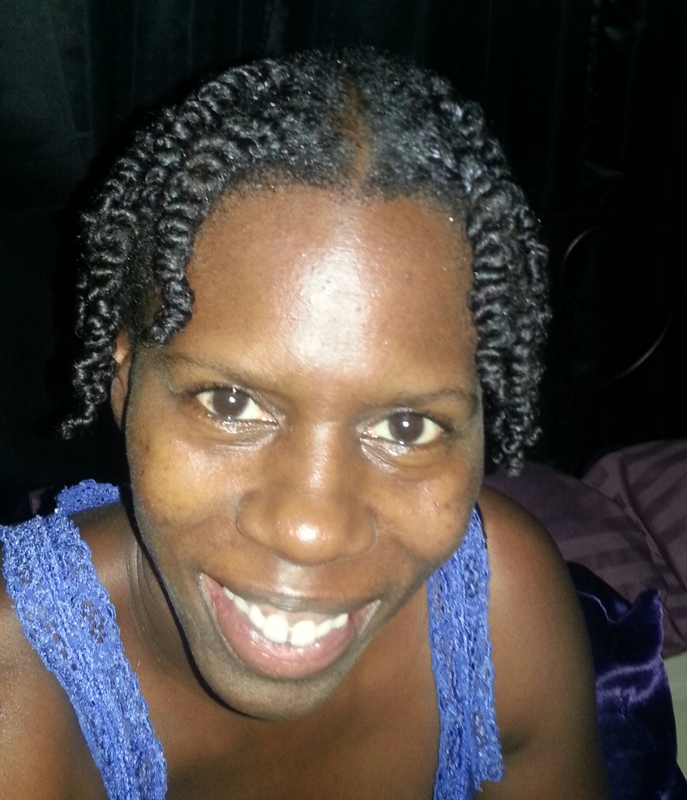 After letting my hair air dry until it was damp instead of soaking wet, I flat twisted it. 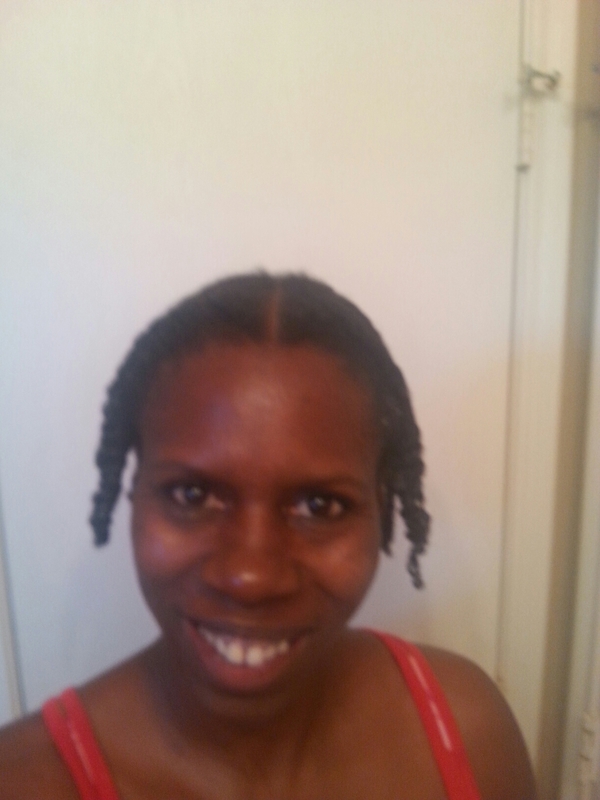 Here is a pic of my hair after being in flat twists for the past three days. 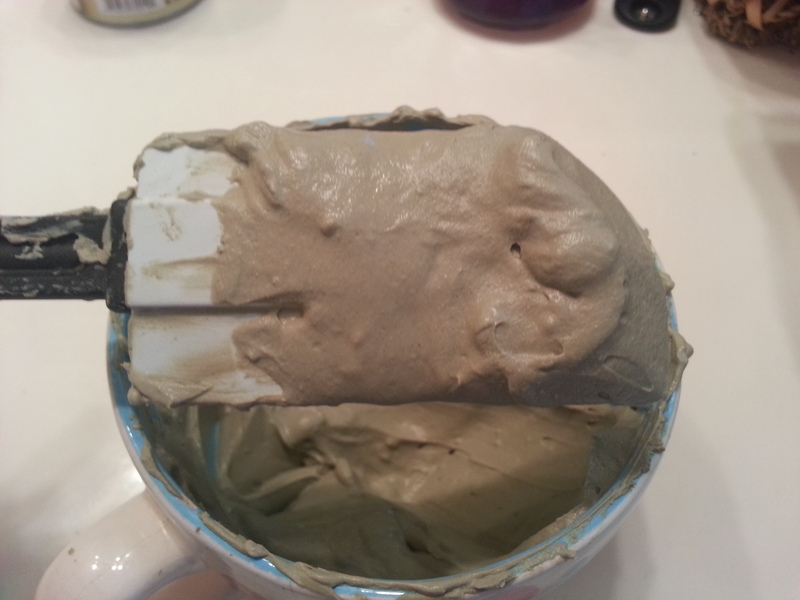 It is still extremely soft, well moisturized, and has awesome sheen.